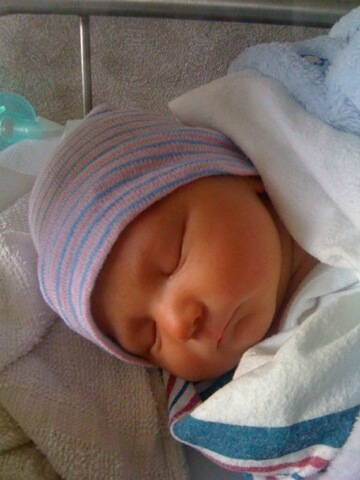 Introducing the Newest Member of the Family - Colton! That's right. My younger brother Todd and his wife Lori added to the family this week. 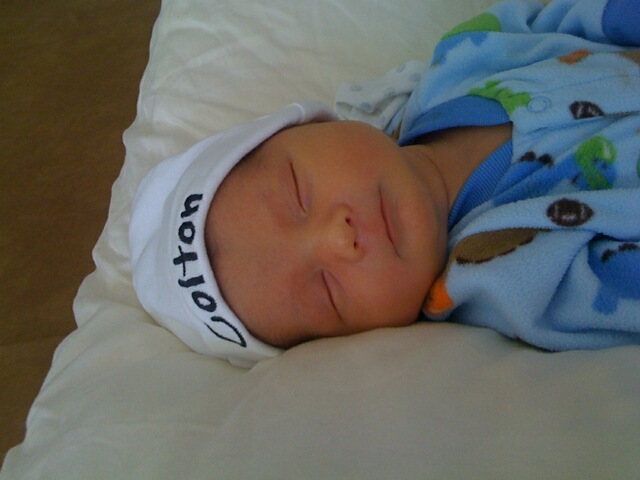 Colton Todd made his way into the world on Aug 2 and we all couldn't be happier. 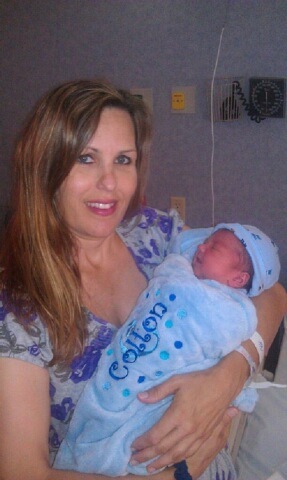 Colton and Mommy just hours after his birth. Doesn't he look like he's smiling?! Daddy and his little man. 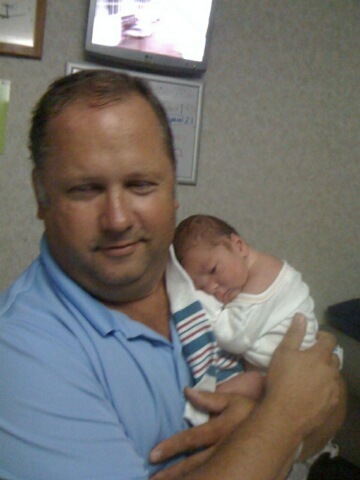 It's been a LONG time since Todd held his infant son....22 years give or take. 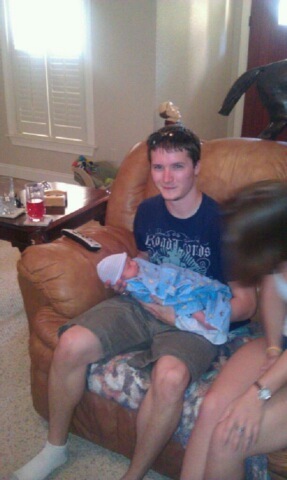 Todd now has the oldest and the youngest of the grandkids. Nice job bro. Just an hour old. Check out those cheeks. And here are the two brothers - just hanging out. 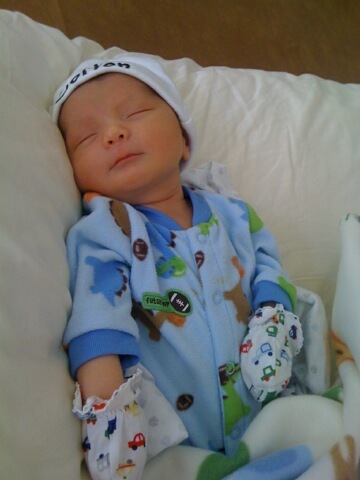 Colton takes after his Daddy - he's a great sleeper! He's getting ready for his first car ride. Lori and Colton ready to break out of the hospital. Great job Lori!! ﻿Now Lexie is going to drive me crazy until she gets to meet her new baby cousin. 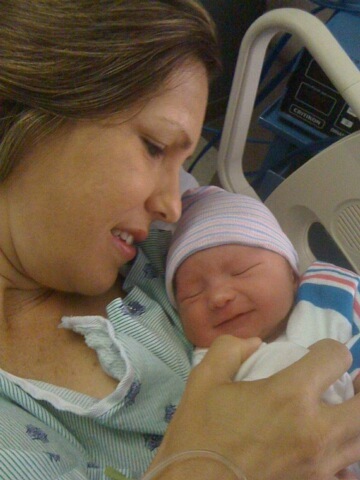 We both can hardly wait to hold the sweet little guy. 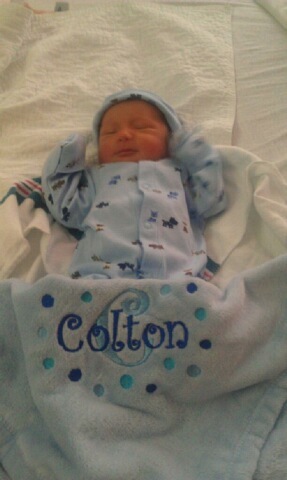 Welcome to the world Colton! More on Lexie later. I'm behind - way behind!